Wild Flora Incense Sticks are traditionally hand-rolled from natural herbs, oils and other ingredients using the ancient masala method. With the inclusion of aromatic Hemp Oil, its spicy and woody aroma has calming and relaxing properties making it suitable for yoga and meditation. Wild Flora Incense Sticks are traditionally hand-rolled from natural herbs, oils and other ingredients using the ancient masala method. 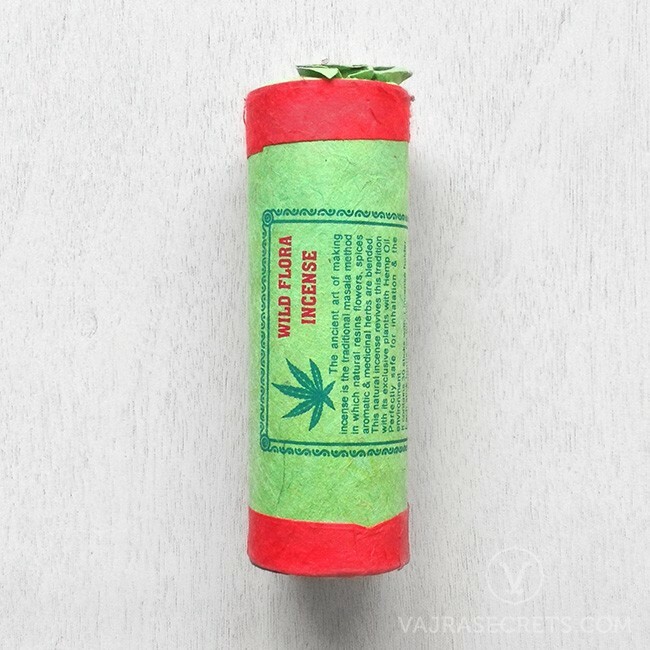 With the inclusion of aromatic Hemp Oil, this spicy and woody aromatic incense has calming and relaxing properties making it suitable for yoga and meditation. It cleanses and purifies the environment of unwanted energies and aids relaxation and stress-relief. It is also particularly used during spiritual ceremonies to create a peaceful and calm atmosphere.